Saigon is a city full of museums. Although many were established since the end of the American War, most occupy historical buildings around the center of the city. Museums make a nice place to escape the heat of the street, even though many of them are not air conditioned. The Ho Chi Minh City Fine Arts Museum is housed in a former commercial building dating from the turn of the twentieth century near the Ben Thah market. The Ho Chi Minh City Museum is housed in a late nineteenth century building which remains elegant despite its battleship gray paint job. The Vietnamese History Museum is housed in a building sited in the large park and zoo located at the end of Le Duan Street. The galleries are all on a single floor, although the levels change some between one hall and another through the circular plan. 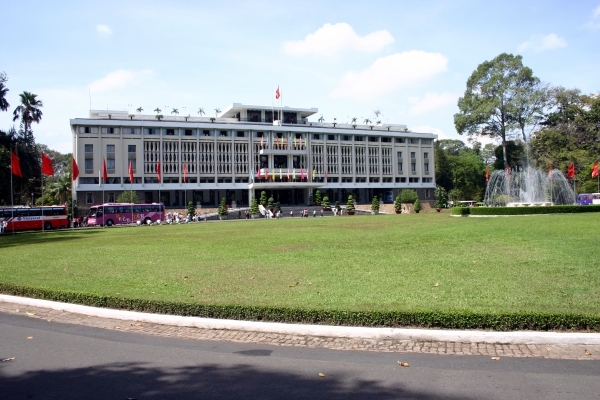 The building now called the Reunification Palace was once the Presidential Palace for the republic of South Vietnam. This is where the South's fall to the North finally happened on 30 April 1975.